!!! Update V5.0.0 firmware require use “Upgrade Kit“, you can find it from VVDI2 Quick Start from V5.0.0 software !!! 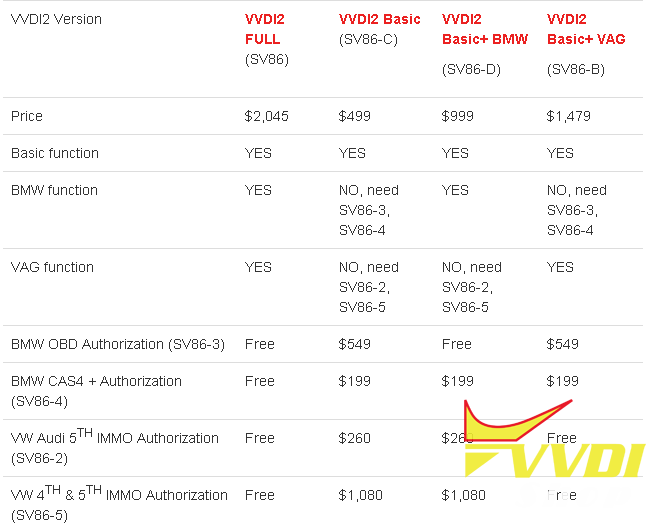 How to Tell Different Versions of VVDI2 Full, VVDI2 Basic, VVDI2 BMW and VVDI2 VAG?